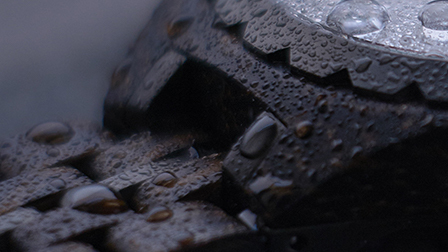 Fortification of raw elements with technology and processes that will change the way you view natural timepieces. Some of the most beautiful woods on earth are simply not ready for the demand of watchmaking. RIST is 72+ hours of laborious handwork and processing before a timepiece ever goes into assembly. The effort turns standout materials into masterful ones. The transformation from raw to RIST is something you can truly feel. The durability and soul is something you can wear. 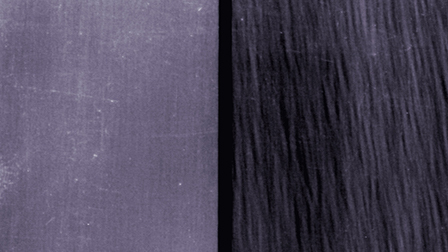 Resin permeates through the complete wood chord. Porous gaps (black patterns in right image) are now injected with ceramic-like resin; improving smooth finish and structural integrity. Lab tests for compression, tensile, and sheer strength show a marked 2x increase in overall strength; making our infused woods as strong as industrial construction worker helmets. 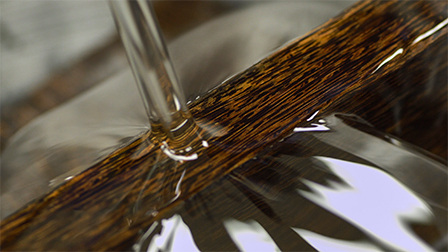 RIST now makes it possible to bring challenging, more exotic woods to our customers. 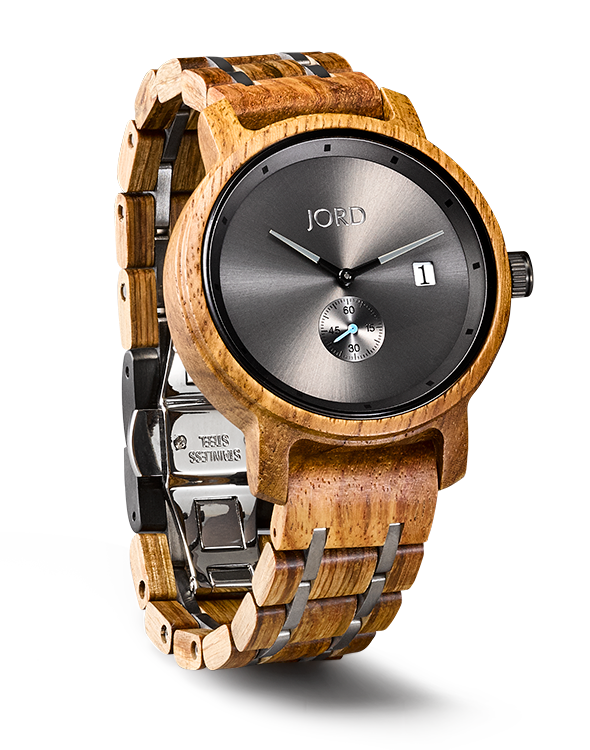 Timepieces made with natural wood elements are splash-proof but cannot withstand continuous submersion in water for prolonged periods of time. 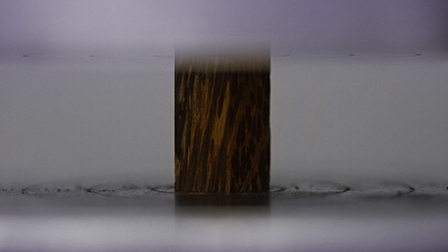 RIST permeates sponge-like pores of natural wood with hardened resin infused under a vacuum. Rigorous testing at 30 atm pressure (305m depth) show 175% less water absorbtion than untreated wood with no changes to dimension or integrity.